Life finds a way! Recent rains have increased the flow of water in the seasonal stream at the Malibu Outdoor Science School, replacing occasional pools of water with a beautiful flowing stream. These conditions have been perfect for a population of newts that live in the area. 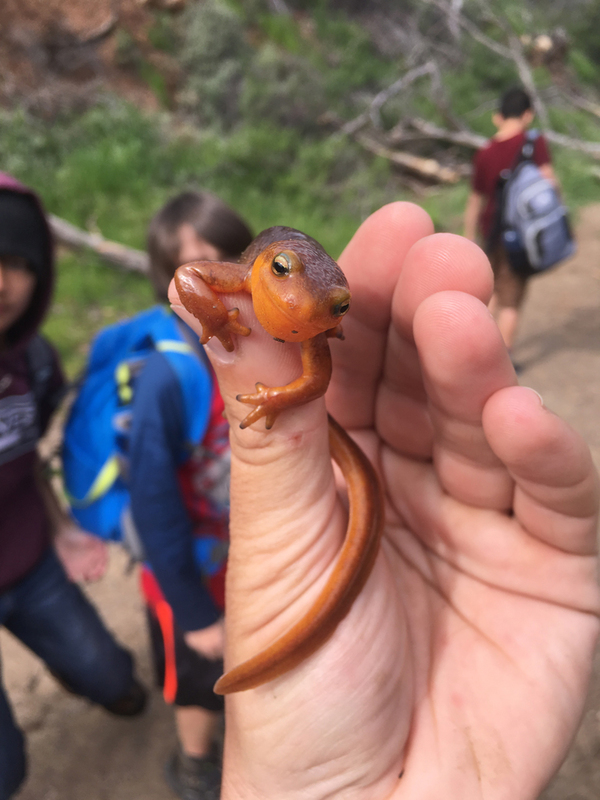 In a recent week students encountered more than 40 newts. What conditions are needed before it is likely students will find newts in the riparian area? Where do newts live when the seasonal stream is not flowing? Why are newts only found in damp environments? Questions like this are a natural part of inquiry at the Outdoor Science School. We love the emerging Next Generation Science Standards – it turns out they are exactly what we do best!